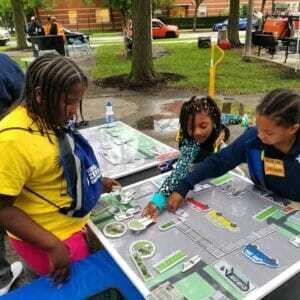 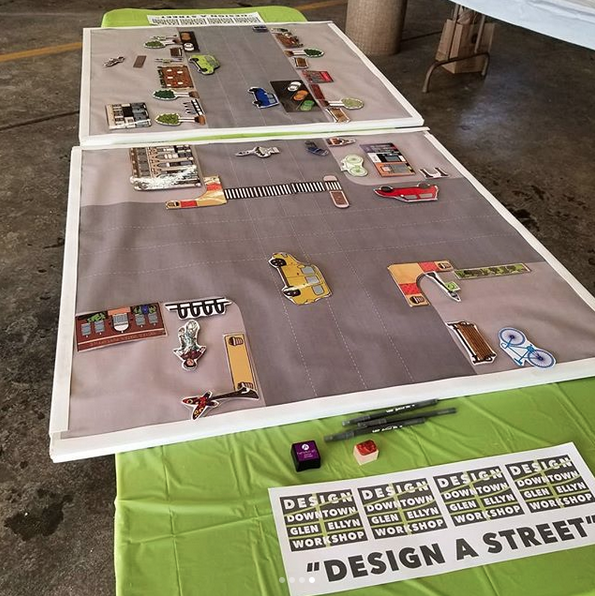 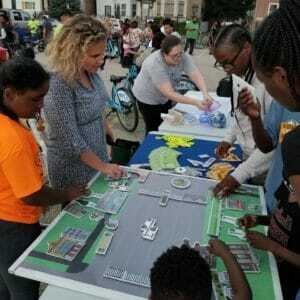 MUSE Community + Design, designed a hands-on, interactive engagement activity to make the abstract, but critical concepts of road design and traffic safety fun and engaging for all ages. At the same time, this activity educates and recruits residents as advocates for safer streets. 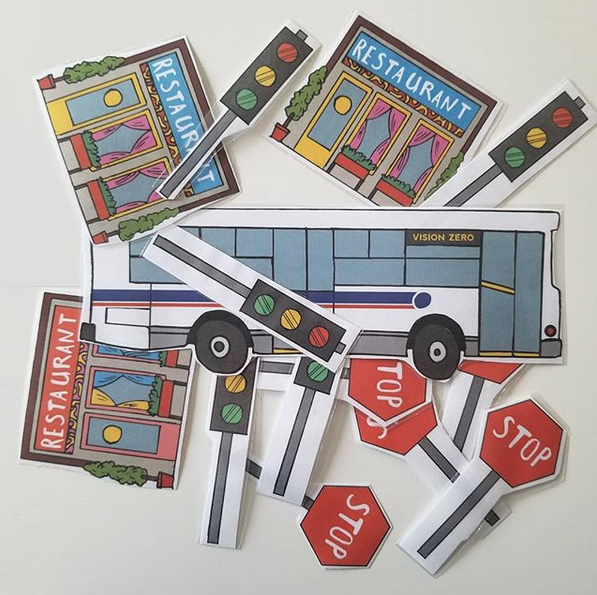 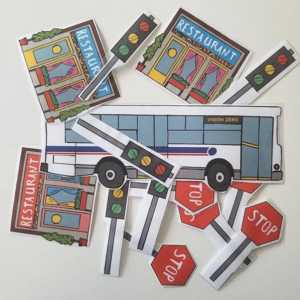 The activity uses dozens of hand-drawn streetscape elements such as bike lanes, bioswales, stop lights, crosswalks, and bump-outs, plus cars, planters, trees, and custom landmarks for each of the neighborhoods and communities we engaged with. 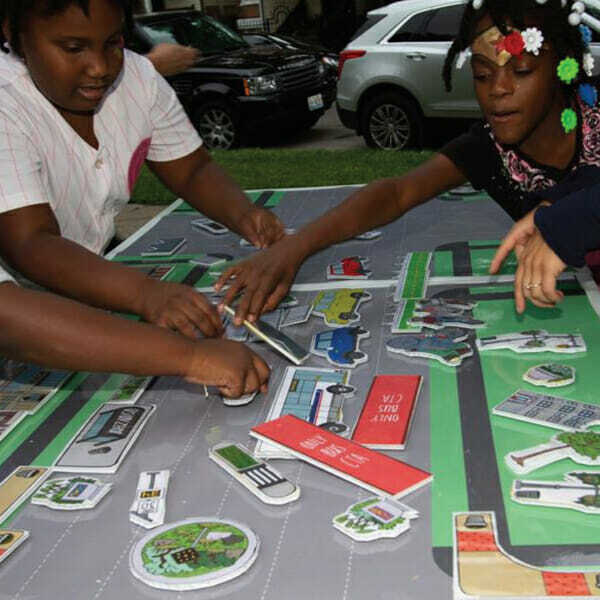 The pieces sit on magnetized boards and come with a menu board explaining showing real-world examples. 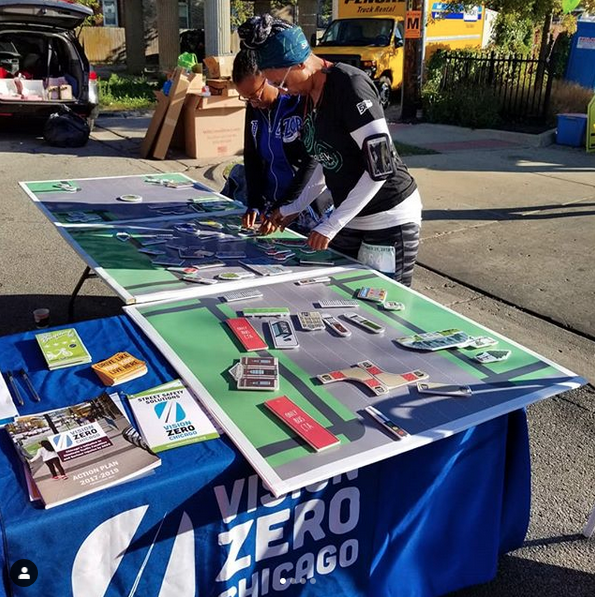 While a big hit with kids, who needed no invitation to move the pieces around, even many adults enjoyed got in on the fun, curious to see first-hand how road safety features could be implemented. 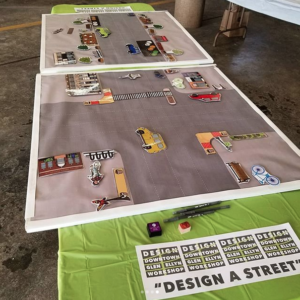 But even with those too shy to try it out, seeing the boards and the elements available provoked numerous conversations that helped dispel myths and stereotypes, often nudging participants to better understand road design, and perhaps helping them see their own streets in new ways!